I've been obsessed and fawning over monochrome for a long time already. If you saw some previous outfits, you would have definitely noticed it - here, here, here and here. I've decided to dedicate this entire month to the trend. Lets call it - Monochrome March with a new post every Monday (which is pretty ambitious since this is the craziest month for me, work-wise). So today, it's a print clash kind of day. 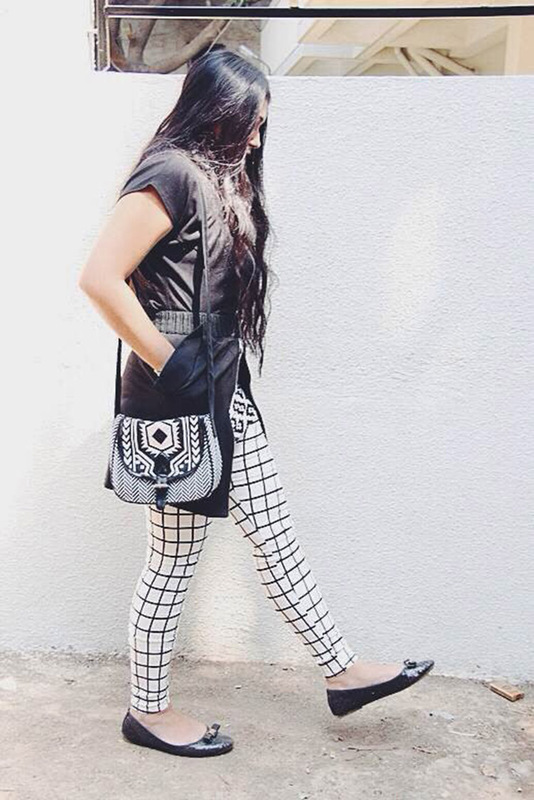 The window pane print became a huge thing this fall and Aztec seems to be following close behind. So I of course decided to wear them both, together. Since both of them are such strong prints already, I wore a long jacket, to add a small break and make the look a little more neutral and balanced. 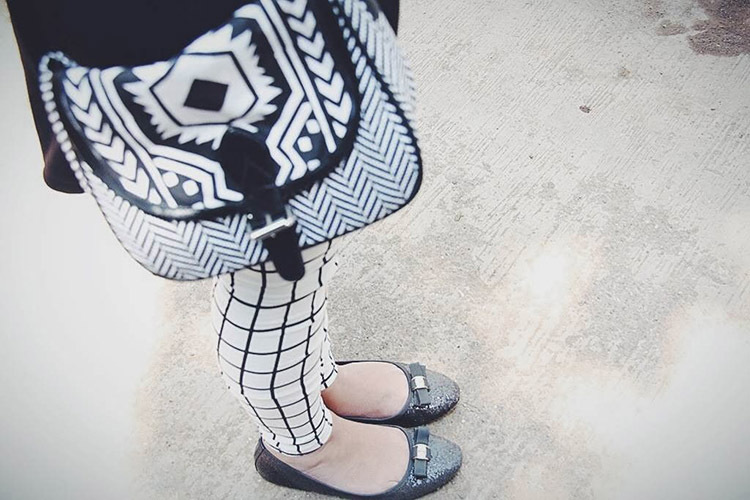 The crème de la crème is that cute canvas sling bag that seemed to blend in perfectly with everything! 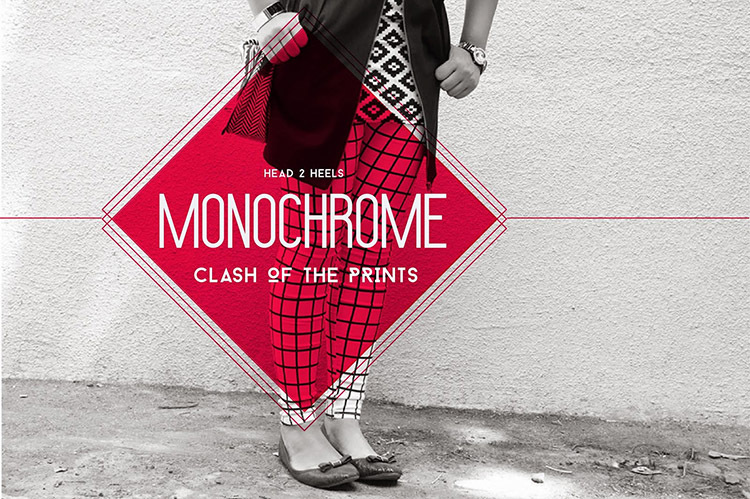 Such a different and fresh take on monochrome! Love! And that bag! I love it! I had been eyeing it on lime road for a while as well... Don't know Why I didn't go ahead.. it looks fabulous! 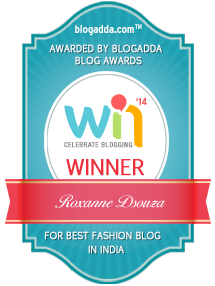 I am always happy finding Indian bloggers.. so yay to finding your blog. :) Looking forward to your monochrome series. 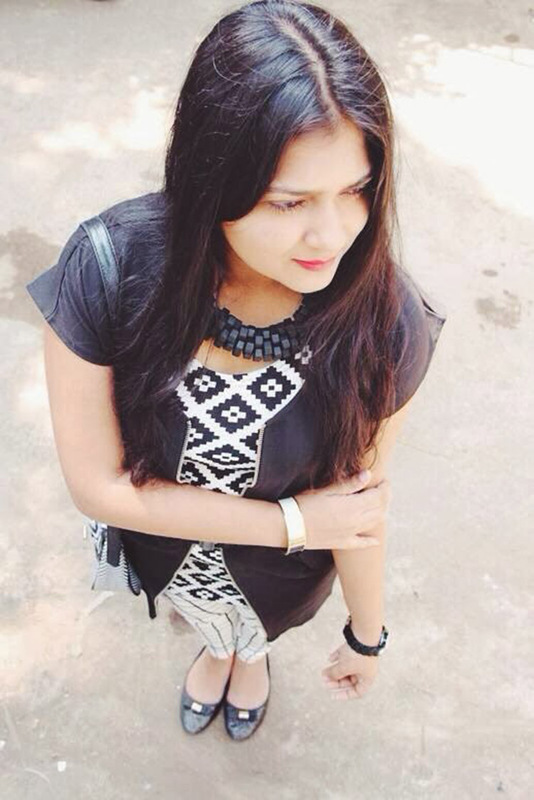 I have followed you on bloglovin. 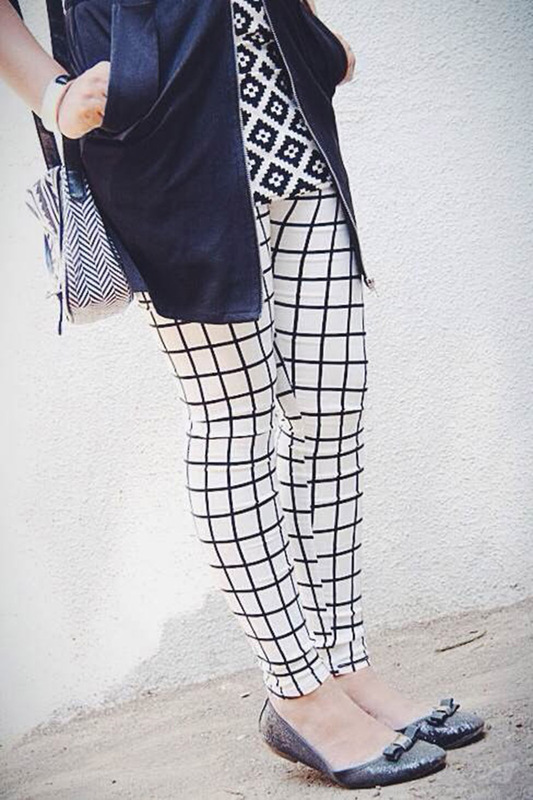 love these mix of patterns! This is a fun take on monochrome. Love the pants!